Hetfield and Ulrich's metal icons return for their WorldWired tour! 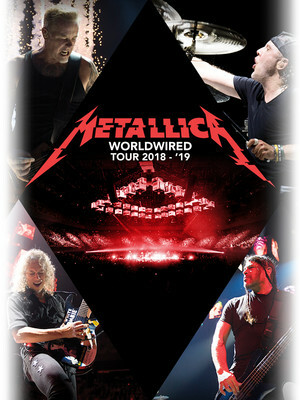 Metal monsters Metallica are returning with a vengeance this year for their WorldWired tour! 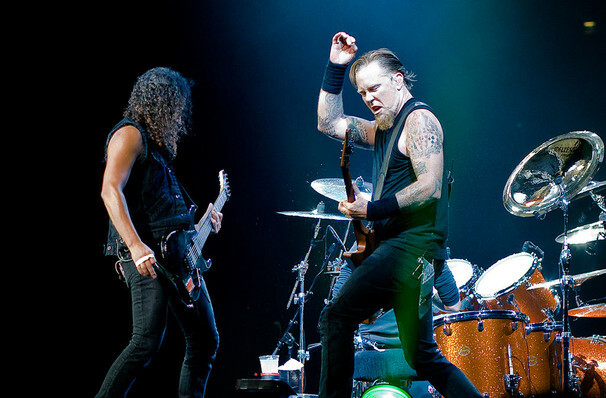 They'll be touring tracks from their 2016 album, Hardwired... to Self-Destruct, which was the band's first solo studio album since 2008's Death Magnetic. It also followed their 2011 collaborative record with Lou Reed Lulu, which was... divisive to say the least. Sound good to you? Share this page on social media and let your friends know about Metallica at PPG Paints Arena. Please note: The term PPG Paints Arena and/or Metallica as well as all associated graphics, logos, and/or other trademarks, tradenames or copyrights are the property of the PPG Paints Arena and/or Metallica and are used herein for factual descriptive purposes only. We are in no way associated with or authorized by the PPG Paints Arena and/or Metallica and neither that entity nor any of its affiliates have licensed or endorsed us to sell tickets, goods and or services in conjunction with their events.